HTMS Kletkaew is an old Thai Navy ship. It was built in 1948 for the Norwegian Royal Navy. After eight years it was sold back to and renamed by the Royal Thai Navy and used as a transport support vessel. 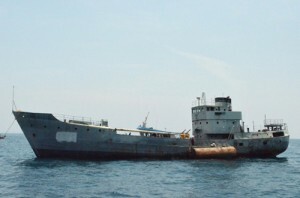 HTMS Kletkaew was sunk on the 19th March 2014 just of the west coast of Phi Phi Ley. Phi Phi Island did not have any wreck dives on or around the islands at all the nearest one is The King Cruiser Wreck, which is about 1 hour away from the Phi Phi Don. 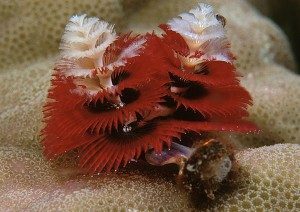 We were one of the first companies to dive this site and I can tell you that it is brilliant. 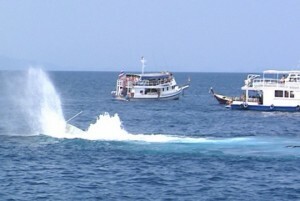 The Thai Navy have done a fantastic job sinking it in an upright position. Making it easy for the Wreck Diving Enthusiast to penetrate it and still feel perfectly safe. If like many you are uncomfortable penetrating wrecks, then it is just as good swimming on the outer decks -it really is a wreck dive for everyone. To assist in the sinking of the ship a number of large holes were cut in the ship, these will also allow qualified divers to enter and explore the interior of the ship. It is a large wreck, 47 metres long and 382 tons. 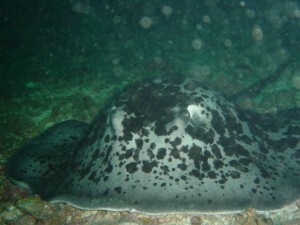 This is close to the infamous Maya Bay and the terrific dives sites of Bida Nok and Bida Nai also very close to Palong Wall (aka Coral garden) with their exciting marine life consisting of Turtles, Leopard Sharks and Blacktip sharks, amongst many others types of fish seen here on Phi Phi Island. The best time for diving this wreck will be the “High Season” from November to May, but should still be dive-able most days during the rest of the year. 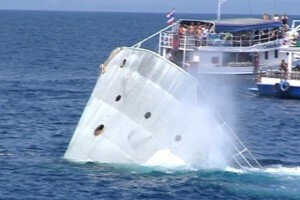 A Thai Navy Ship has just been sunk to create an exciting new wreck dive on the west coast of Phi Phi Island. 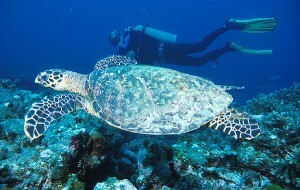 The Phi Phi islands being one of the most popular diving spots around Phuket. Quick tip: Use buoy lines for ascent /decent. Be careful of sharp shells on the entrances of the ship. Special training required for wreck penetration.